FS[Canada]: REVUP and DE complete motors/parts, other goodies! 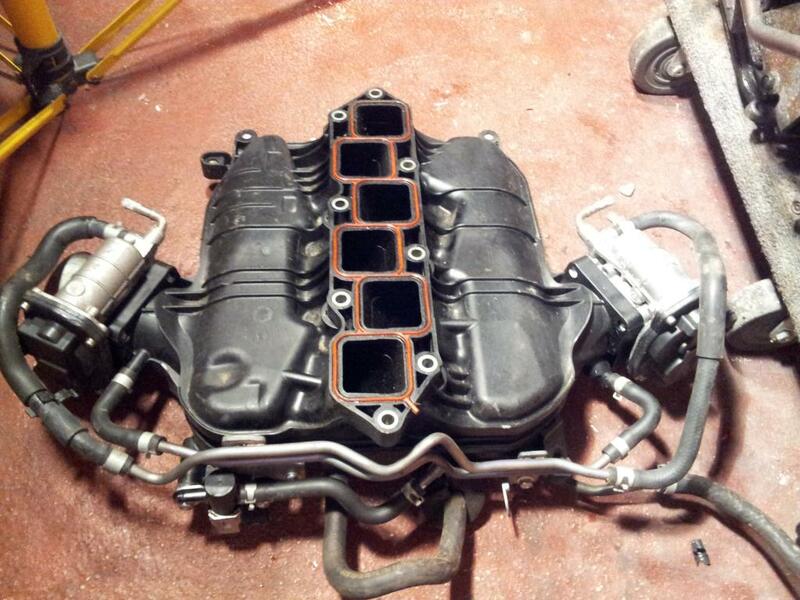 Engine - Complete Motors CDN Complete Motors & Motor Parts; pistons, blocks, cranks, cams etc. REVUP and DE complete motors/parts, other goodies! Ok I'm clearing a few things out. I have a lot of parts, including tailights and all kinds of goodies. Here's the engine stuff though! REVUP ENGINE. 80k miles. This thing is complete. Right down to the stock DM flywheel and OEM clutch, starter, coil packs, spark plugs, FULL WIRING HARNESS TO ECU, full intake, throttle body, everything! However I was planning to take the heads and oil pump from it for my non-rev engine build. 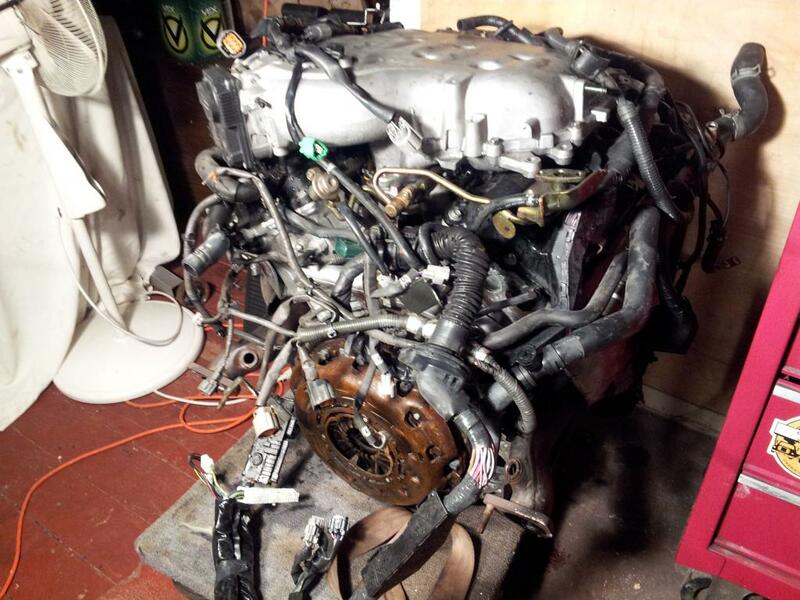 I will either part this engine out, or, if the price is good enough for me to leave it intact and buy the parts I was going to steal separate, I will accept selling it as a complete engine!! Rev Up engines in this condition WITHOUT the extra stuff seem to sell around $1300-2000. I'll accept offers if you want it whole, and also for any parts you might want. Take it all for $120. 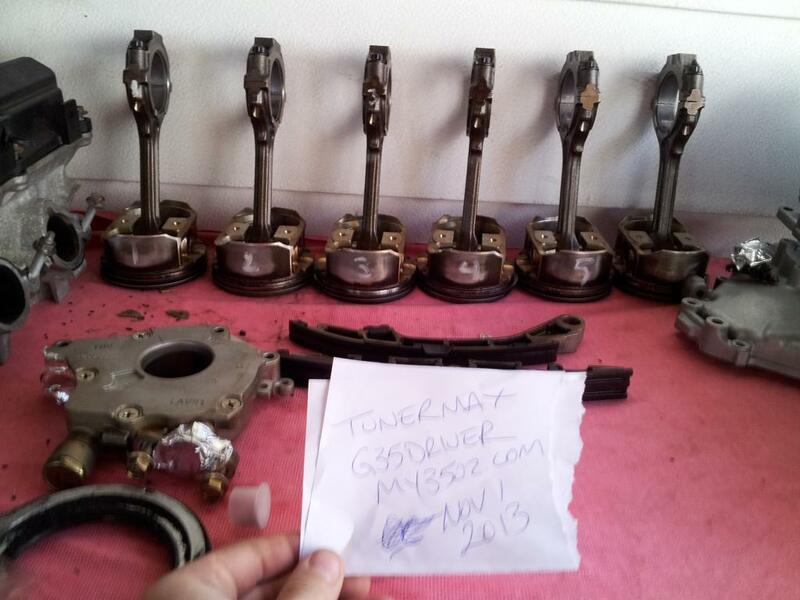 If you want the Throttle bodies separate they are $60 for the pair with the TPS and everything. DE non-rev Engine parts!!! Anything I will be replacing in my build is for sale here. 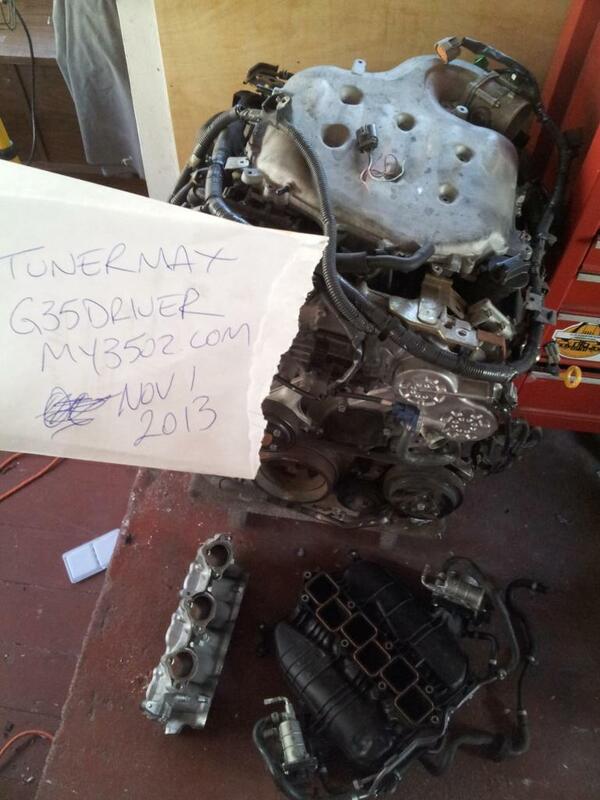 DE cams, possibly heads, springs, oil pump, timing gears, RODS AND PISTONS, all bearings, etc. No reasonable offer refused, I'll let this stuff go hella cheap, came out of a good engine, reseal it and put it back together on the cheap! INTAKE STUFF!! Grab the upper IM and throttle body together for a polishing project or porting, grab lower runners, I have a REVUP LIM and a NON-REV (great as a MREVII) LIM also. Taking reasonable offers on the intake components! And a crapload of other things, hit me up! 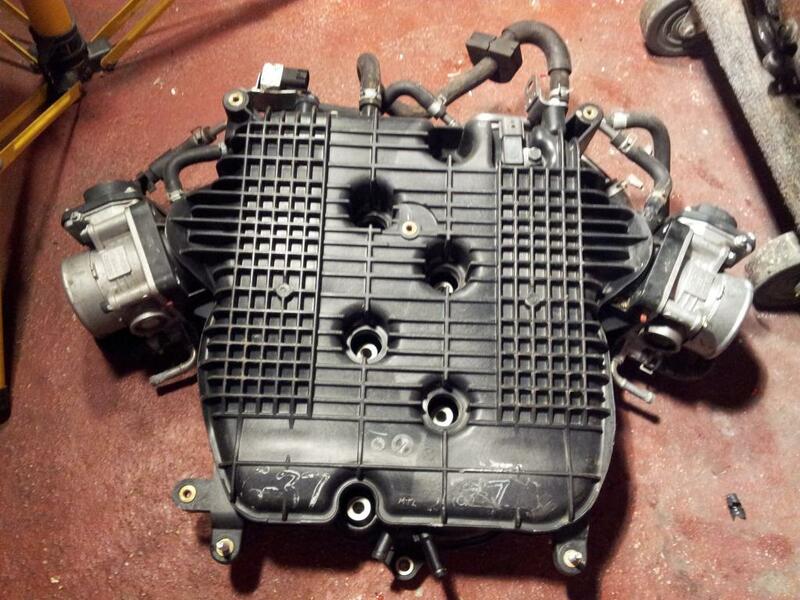 Do you also have a plenum spacer and a shift ****? No and No. Will have a plenum spacer next season but not right now. Ok no problem, I am interested in the mrev2 and the z-tube if you still have it. I'm in Brampton so I can pick it up. Really wanted to stay, but had to let go :(..
What do I need to drop my G? Do you need a revup engine do add Motordyne Plenum Spacer 5/16 with MREV2? 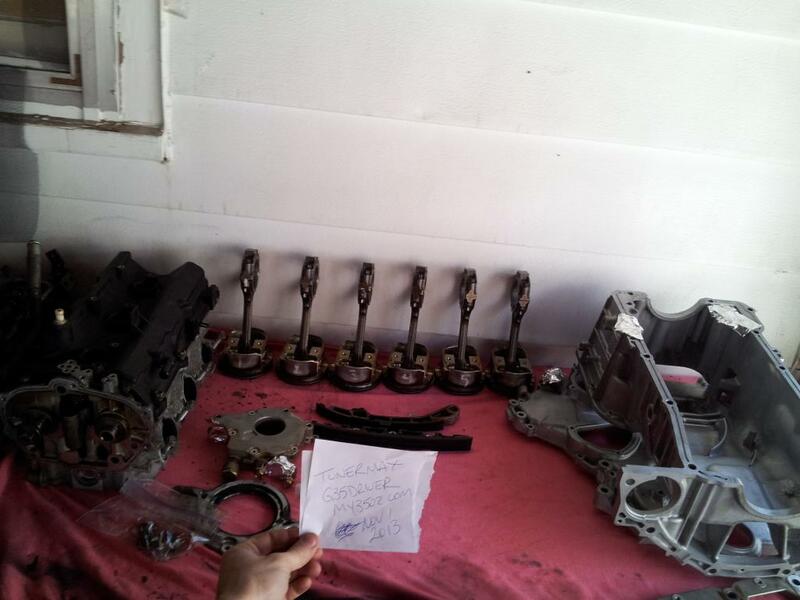 Quick Reply: FS[Canada]: REVUP and DE complete motors/parts, other goodies!